Dr. Orkida Solomon is a board certified optometrist with extensive training in comprehensive eye examination and contact lens fitting. Her contact lens services include fitting soft, soft toric, monovision, multifocal, and RGP lenses. Dr. Solomon works closely with Dr. Cheng in fitting contact lenses for patients with corneal disorders such as keratoconus and corneal transplants. Originally from Egypt, Dr. Solomon obtained two degress from University of California at Berkeley in Physiology and Vision Science. She then completed her advanced training at the Interamerican University School of Optometry in Puerto Rico. 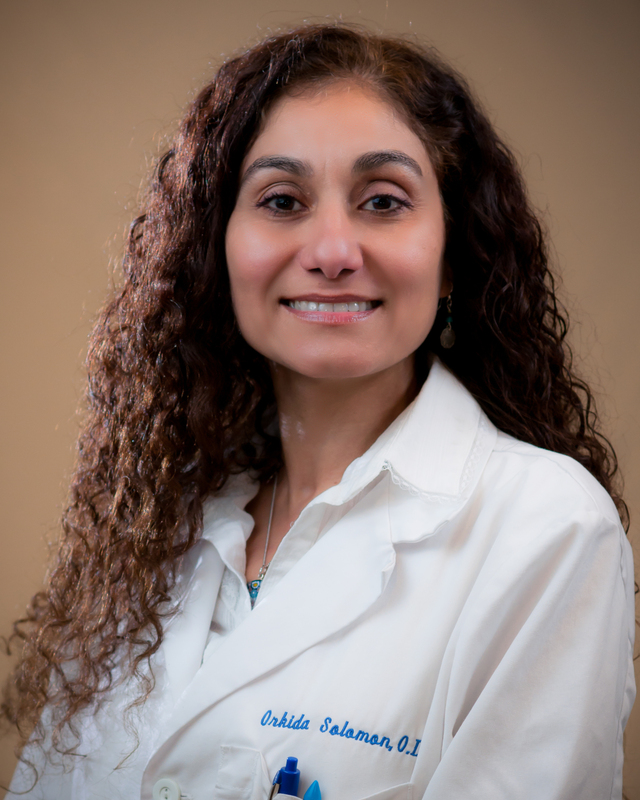 Dr. Solomon is a an active member of the American Academy of Optometry , the California Optometric Association and the Monterey Bay Optometric Society. Dr. Solomon's patients appreciate her gentle demeanor, expert skill, and patience when it comes to their eye care needs. Her goal is to provide the best vision care and patient service to the community.